Here in Iowa, we have spent a lot of time inside our houses lately. It has been too cold to play outside. When you are stuck inside all day what do you do to have fun? Well today, we have an inside treasure hunt for you! We’ll give you a list of special things for you to find around the house. Let’s play in one of our houses first; then you can play the same game in yours! 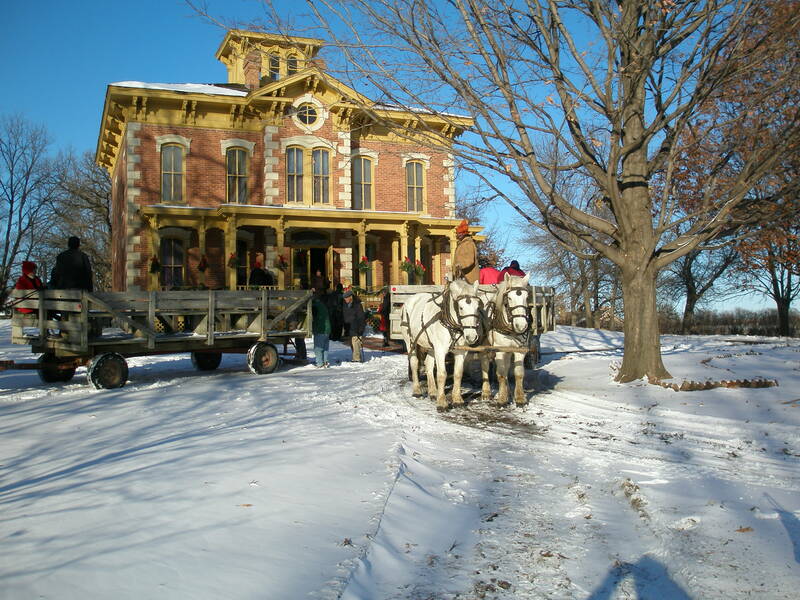 Our big house at Living History Farms looks like this on a snowy day! The house was built 144 years ago! Martin and Ellen Flynn lived here. They wanted the inside of the house to be very fancy. 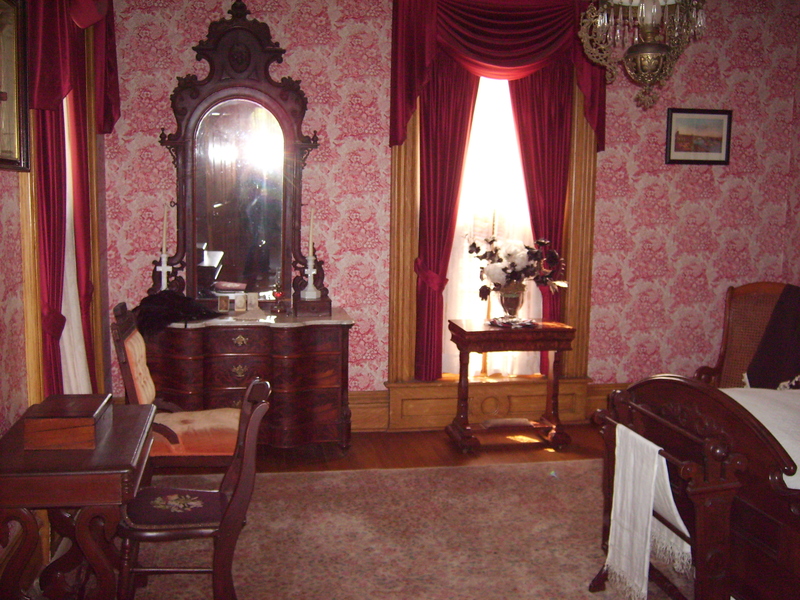 They thought that bright colors, wallpaper, and carved furniture made the house look nice. 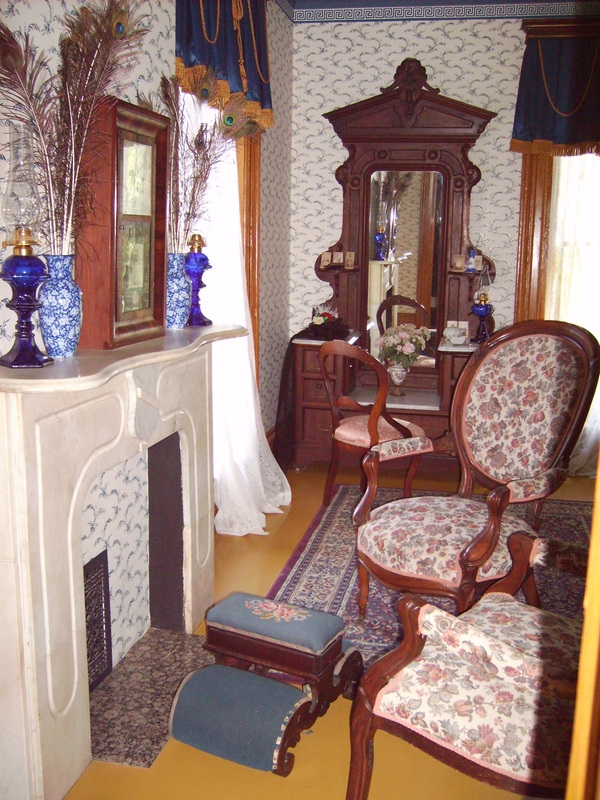 They also liked to have animals, birds and feathers, and plants and flowers to look at in their home. At the museum, we sometimes call this “Fur, Feather, and Fringe” style. Fringe is fancy strings or trimming on the edges of things. 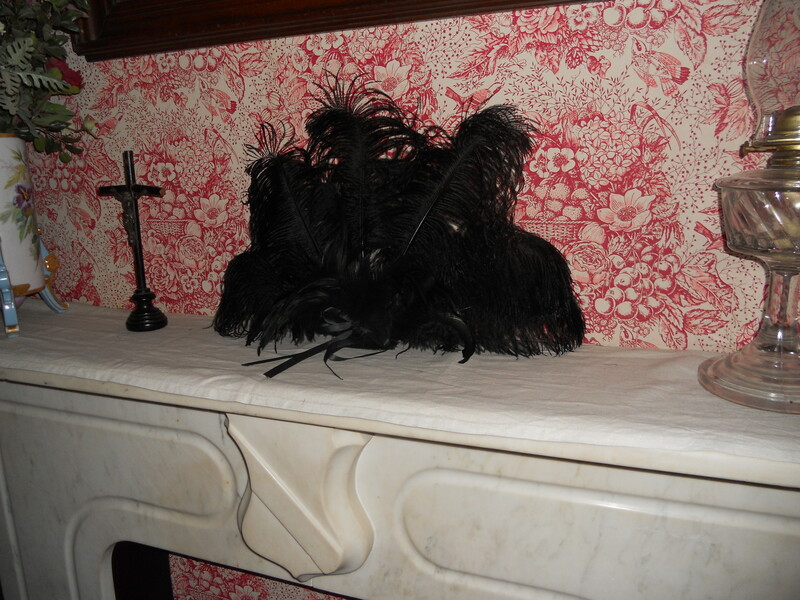 If we look around the Flynn Mansion, how many of these bright-colored, fancy, feathered, fringed things can we find? Let’s look in the bedrooms upstairs first! This is a bedroom for special guests. What bright color is this room? Can you find feathers, flowers and fringe here? Sometimes you have to look really closely to find them! Click on the photo and your computer will make it bigger and easier to see! Let us give you some hints! The wallpaper is a pattern of fruit and flowers in a basket. The towel on the end of the bed has hand-made fringe. 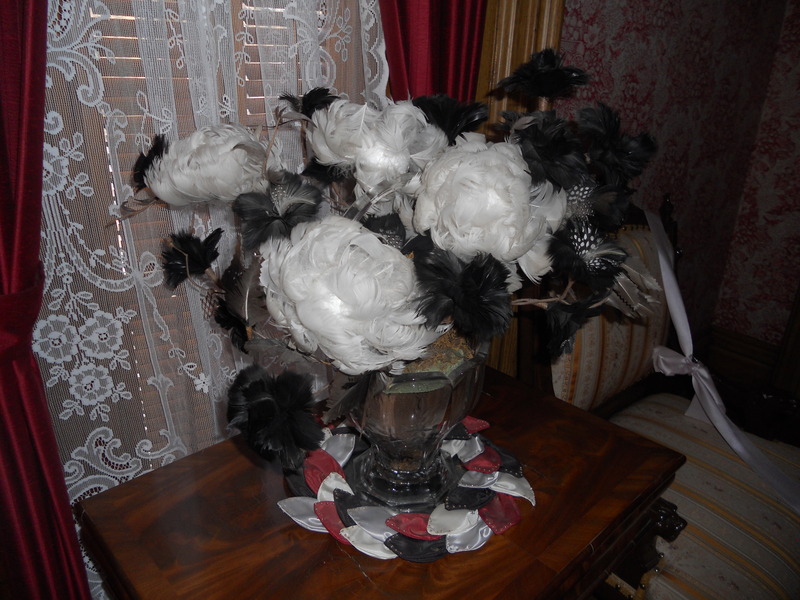 On the dresser, there is a fan made of ostrich feathers! Close up, it looks like this! The flowers on the table are made of chicken feathers! It was a craft for fancy ladies. 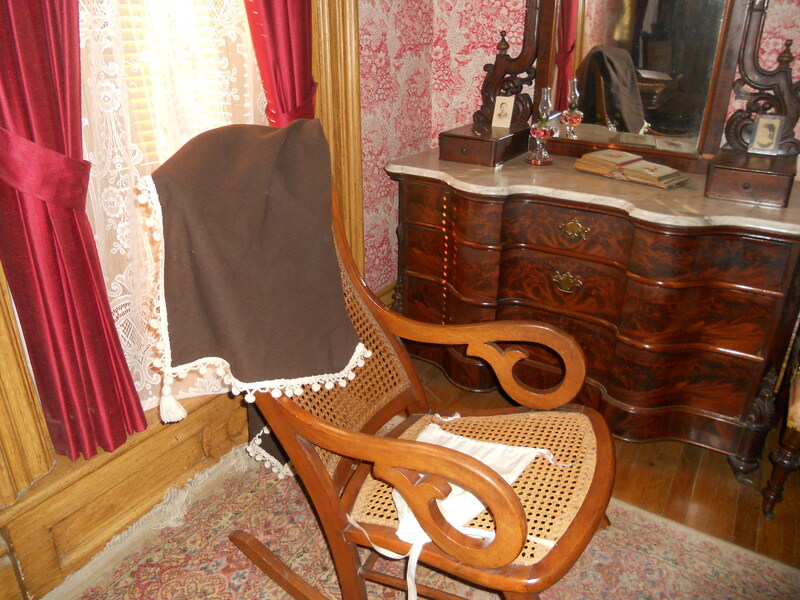 Can you see the fun fringe on the fancy shawl in the corner rocking chair? Let’s look around the parents’ bedroom. Things are still pretty fancy! What color are the decorations in this room? Look for something feathery, something flowery, and something fringed! In this room there are lots of things to find! Need some hints? 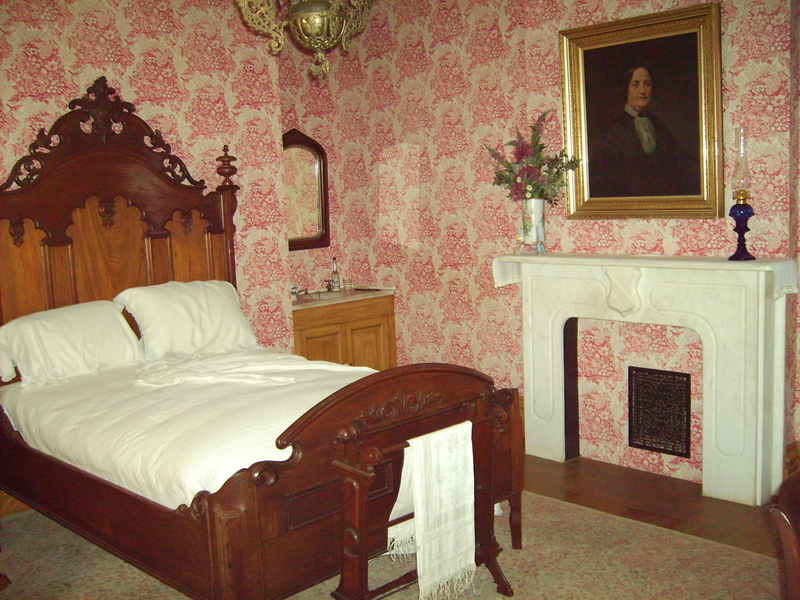 The quilt on the bed and the wallpaper has flower patterns. The chairs and footstool in front of the fireplace do too! 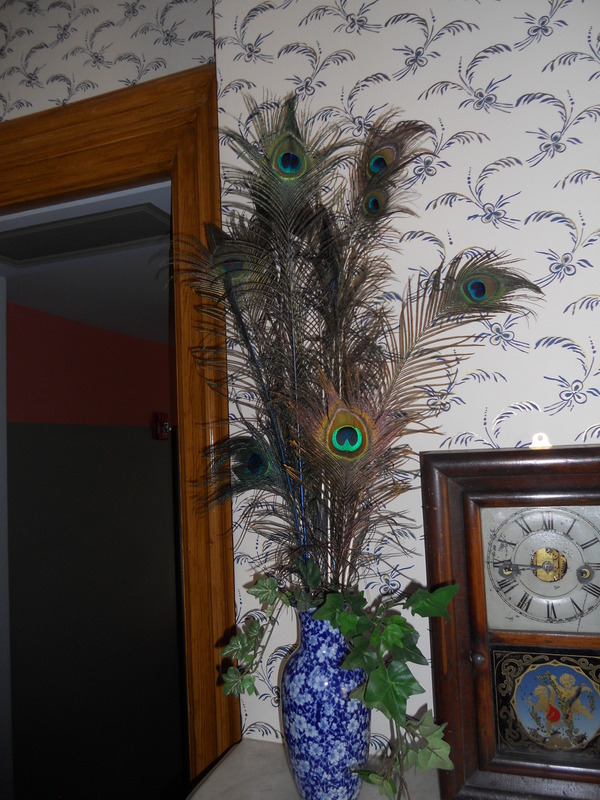 There are peacock feathers in the blue flowered vases. 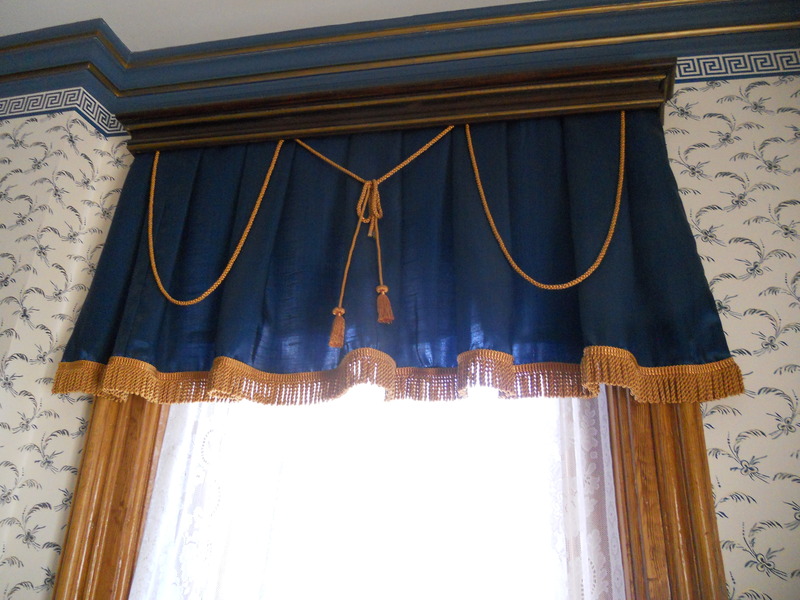 And the curtains have wonderful fringe and tassels! And this is just the beginning of the fur, fringe and feathers at the Flynn House! 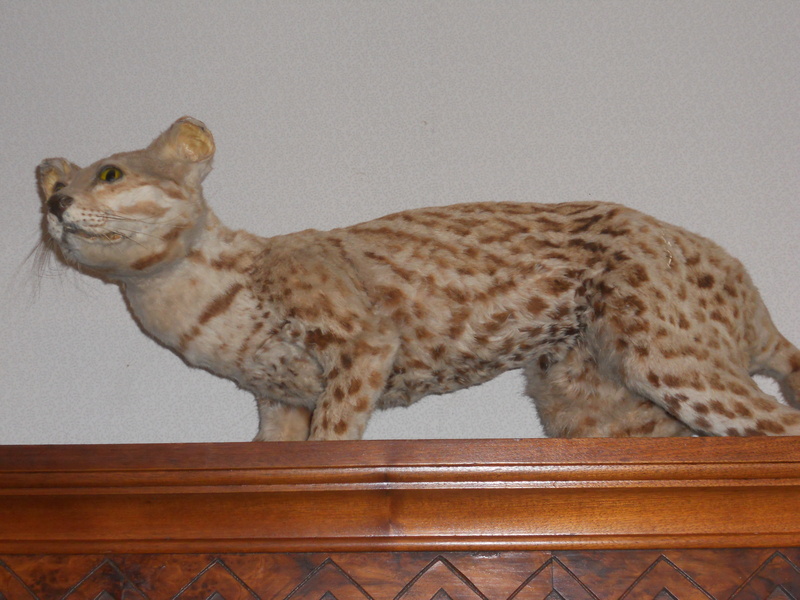 There is always the stuffed ocelot in the library! He’s a type of wild cat on display there. 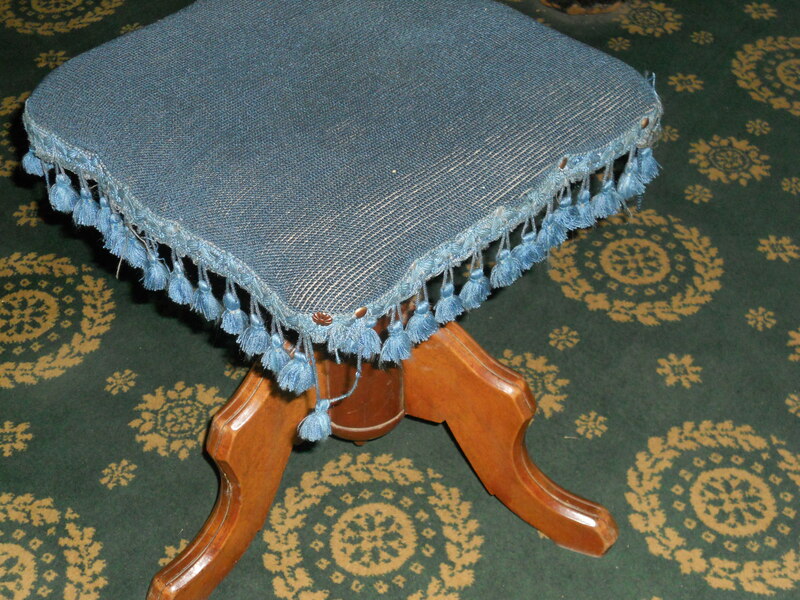 Or the great fringe on the piano stool! 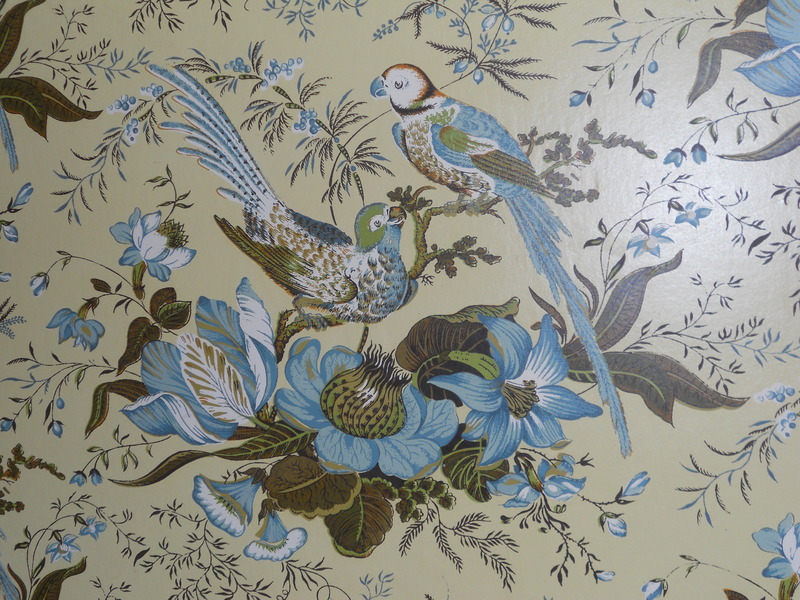 And of course the feathered parrots in the hallway wallpaper! Now that we’ve searched the Flynn Mansion for things that make it look special, let’s look around your house! Is your house full of fur, feathers and fringe? Here is your treasure hunt list! –Find two things that are your favorite color in your house. –Do you have flowers or plants in your house? See if you can find two kinds! Again, a picture or “fake” plants count! –Find an animal or a bird somewhere in your house. Try looking in pictures or books if you are having trouble finding one! –Remember fringe is a trim around the edges of something to make it fancy. Find two things in your house that you think have fancy decorations.